As we wind towards the end of the first month of 2015, we thought we'd take this opportunity to let you know that we still have some really great value January sale offers still available here at Clare Florist. And with free standard next day delivery included with all of our bouquets, plants and flower baskets, now is the ideal time to take advantage of these offers if you are gift-shopping for any occasion. Anniversary coming up that slipped your mind? We've all been there! Luckily we offer free next day delivery as standard to save the day. Which means you can place an order for our Beloved Roses Rustic Flower Basket and have delivery the very next day at no extra cost. This represents extremely good value, especially when you take into account that this lovely rustic flower basket is currently on offer with £10 off. 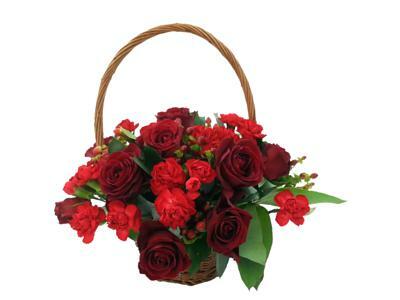 Featuring an exquisite blend of red roses and carnations, this flower basket is perfect for romantic occasions including anniversaries or Valentine's Day gifts. 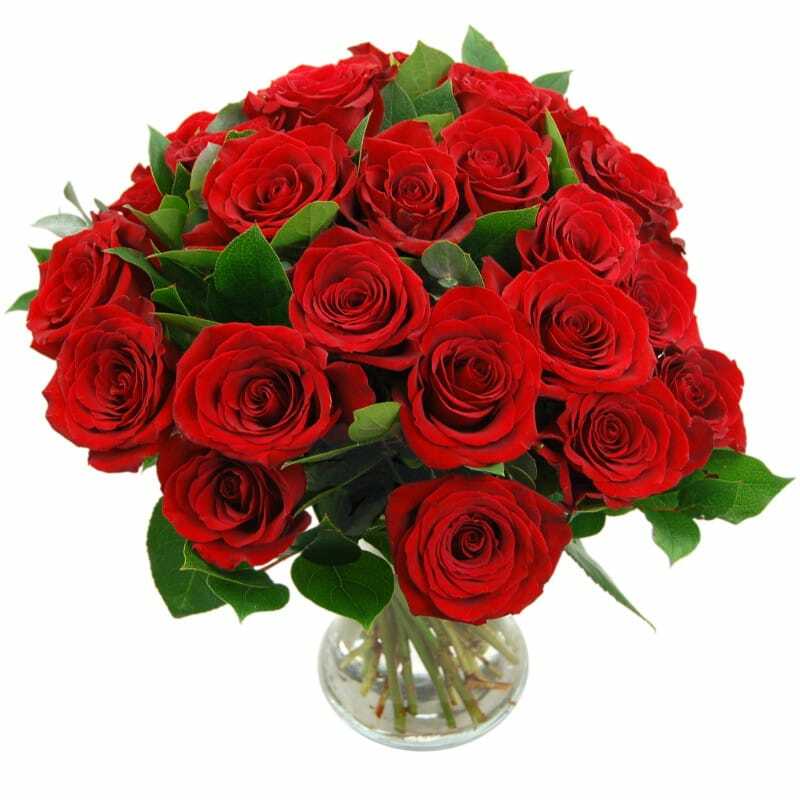 If you would prefer a bouquet to a basket, why not check out our 12 Red Roses - True Romance Bouquet which currently has £7 off. Featuring no less than a dozen of the highest grade large head fresh roses, this bouquet is sure to sweep that special someone off their feet. Whether it's a workplace crush or your dearly beloved spouse, sending this bouquet will be an unforgettable gesture which is sure to impress. 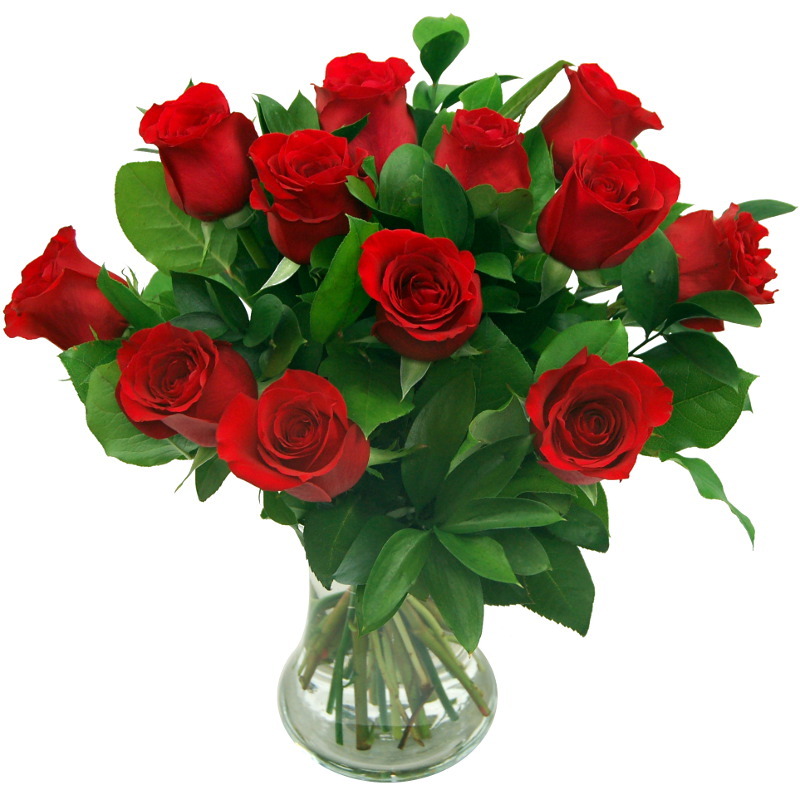 If you really want to go all out and spoil your sweetheart, our 24 Red Roses bouquet is the way to go. This tremendous bouquet is currently on sale with £10 off, extra pocket money for the pub or you could spend that on even more Valentine's gifts for your beloved. Each of these bouquets is available with optional extras available including a handwritten card, teddy bear, luxury Thornton's chocolates and a glass vase. Remember if you are looking for a Valentine's Day bargain, you can place your order now for delivery on the 14th of February.